Picture this: You are an attorney working under a filing deadline for a long-term client. Your new summer intern has just started, and you need him to dig up related documents from years past. You send him to the storage room to go through boxes of manila folders, from which he emerges hours later. He refiles documents he doesn’t need but in a different way than he found them. Sound familiar? Paper-heavy offices like law firms spend a lot of money on producing, searching, and storing all of their documents. Aside from ink and paper costs, law firms waste innumerable hours searching for documents. They also must pay for space to store all of those paper files. Electronic document management systems give law firms the tools they need to access, store, and protect their files. Another cost-saving factor to remember is that improperly secured client information can result in steep noncompliance fees for law firms. Pacific Office Automation can set up a document management system with custom, powerful search options so you have the documents you need within seconds. No more manually flipping through piles of manila files for relevant names or keywords. 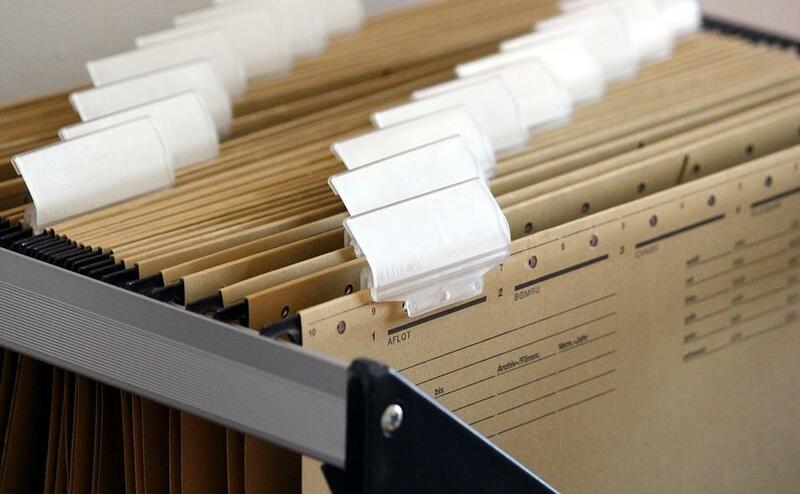 A document management system quickly searches all content, and law firms can set up their own search criteria. The proper workflow equipment will also save a law firm time. With a multifunction printer from POA, law firms can fax, print, copy, and scan from one machine and share them across the network. We also offer software solutions like electronic bate stamping. Security is critical in a law firm, where documents get handled by several different associates. With POA’s Print Track and Control, the firm can limit access to documents and track printing activity by user, machine, and even application. POA also offers a full suite of IT management tools to protect data that meets federal compliance standards. We provide 24/7 monitoring, backup, and recovery in the event of a disaster. We know that converting to a document management system sounds disruptive, but POA has the experience to facilitate a seamless transition that will change the way your firm works. Our clients are partners, and together we can create smart, fast, user-friendly search solutions with your new legal document management system. While providing ongoing support, POA is ready to solve any problem that arises. Contact us today for a free workflow analysis.